For grommet incison where will you site the incision ? What should be the direction of the incision ? 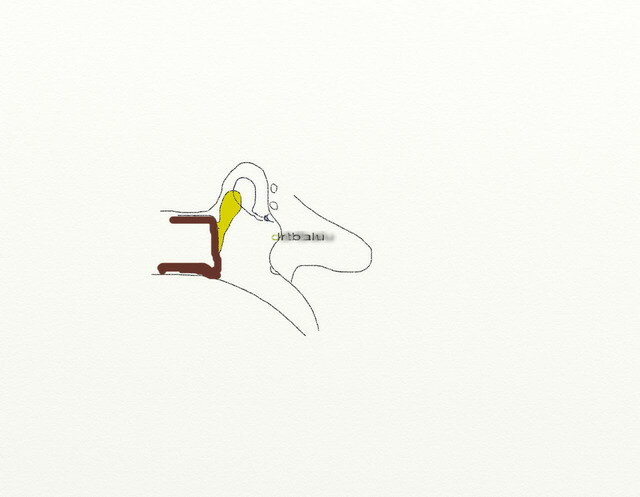 Incision should be made along the line parallel to the radial fibers of the ear drum. This will enable the radial fibers to hug the grommet in position. 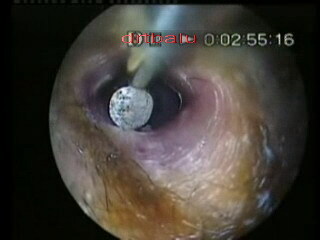 The drum also will heal well after extrusion of the grommet. What is the focal length of the objective lens in a microscope used for otological surgeries ? Name the major advantage of microscope in otological surgery ? What is the of magnification used to examine the ear drum ? Which surgery is it commonly used ? Name the advantages of using this instrument ? Mollison's self retaining hemostatic mastoid retractor. 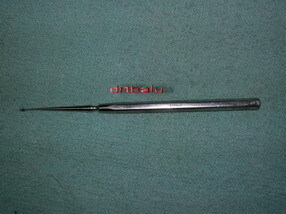 It is used in mastoid surgeries. Where do you use this ? Which nerve's branch is it ? You are seeing bony over hang being curetted during stapedectomy. How much of bony over hang should be removed ? What instrument is used for this purpose ? What are the dangers of bony overhang removal ? Bony overhang should be removed till the whole of the pyramidal process comes into view. House's curette is used for this purpose. Incus dislocation should be guarded against. What are the prerequisites for this procedure ? 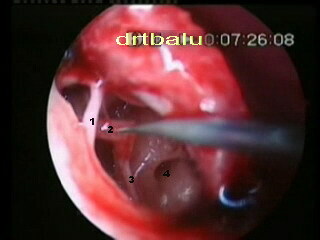 The diagram shows Type I tympanoplasty.